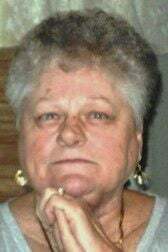 HUDSON, Wis. — Evelyn Marie Schoenoff, 83, of Hudson passed away peacefully Wednesday, April 3, 2019, at Kinnickinnic Health & Rehab Center in River Falls, Wis.
She was born to parents, Robert and Lucille Hayden on a farm in Eau Claire County, May 10, 1935. She attended one-room schoolhouses in Dunn and Eau Claire Counties, as well as Menomonie High School. As a teenager, Evelyn would accompany her parents to the 400 Club, a local dance hall, where she met a handsome young man named Charles “Chuck” Schoenoff. Their mutual love of dancing brought them together. Evelyn’s father hired Chuck as a live-in farmhand, which is when their fondness of each other grew into what would become a life-long love. Evelyn and Chuck were married June 28, 1951, at St. Joseph’s Church in Menomonie. They shared 64 years of marriage before Chuck’s passing in 2016. In those years, they were blessed with five children, each of whom neither could be more proud. After Chuck’s retirement from Nor-Lake, the couple sold their Hudson home and enjoyed living the full-time motor-home life. After 12 years of traveling and seeing all 50 states, they moved in to Boulder Ridge Apartments and settled back in Hudson, where many great friends were made over the years. Evelyn enjoyed playing bingo and cards and was usually lucky at the casino playing her favorite slot machines. The joy that Evelyn received from those in her life, she gave back ten-fold to her family, friends and everyone who had the pleasure of meeting her. She will be missed dearly by all who knew her. Evelyn is survived by her children, Randy (Barb) Schoenoff of Hartford, Wis., Karen (Brian) Blok of Hammond, Wis., Susan (Joe) Meulemans of Hudson, Steven Schoenoff of Woodville, Wis., and Patti (Gaylon) Harwell of Bedias, Texas; her 11 grandchildren; 11 great-grandchildren; and siblings, Elaine (Allen) Hoff and Sally Anderson; as well as many nieces, nephews, sisters-in-law, and special friend, Gene Neumann. She is preceded in death by her husband, Charles “Chuck,”; her parents, Robert and Lucille; and her brothers, Kenneth, Vernon and Glenn Hayden. A Mass of Christian Burial for Evelyn will be held at 11 a.m. Saturday, April 13, at St. Patrick’s Catholic Church of Hudson. A visitation will take place from 4 to 6 p.m. Friday April 12, at O’Connell Family Funeral Home of Hudson, as well as one hour prior to Mass at the church. Interment will occur at St. Patrick’s Cemetery of Hudson. Memorials preferred to the family.